Cervical Cancer Prevention Week, a campaign run last month by NHS England in partnership with the charity Jo's Trust to raise awareness of the importance of cervical cancer screening, achieved tens of thousands of social media interactions and hundreds of pieces of media coverage - which reached millions of people. 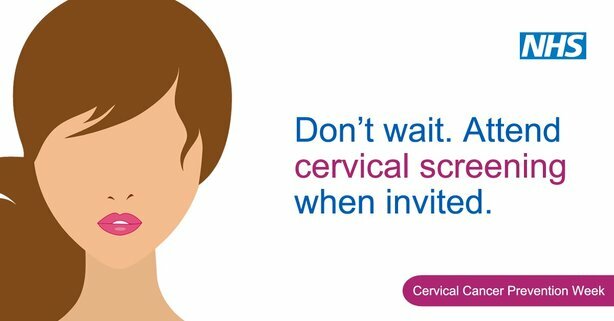 The annual campaign, which is led by Jo’s Trust, aimed to reverse the trend of falling numbers of women taking up cervical cancer screening, a programme run by Public Health England and implemented by NHS England. Cervical cancer is one of the most common cancers among women under 35 but also one of the most preventable. Women aged between 25 and 49 are offered screening once every three years with older women attending every five years. However, one in four women do not attend for screening when invited, rising to one in three among women aged under 29. NHS England’s intended audience was women approaching 25 and above, including women with learning disabilities and women for whom English is a second language. The key messages in the campaign, which ran from 22-28 January, were that women should not wait because the test could save their life and that they should not be embarrassed because the test is a normal part of staying healthy. It explained that the test detects abnormal changes of the cervix before they become cancerous. The campaign also sought to address embarrassment by explaining you can take someone with you as a chaperone and you can ask for your test to be done by a female doctor or nurse. If you are being examined by a male doctor a female nurse or doctor will also be there. The campaign mobilised NHS England’s Twitter and Facebook accounts as well as its four regional accounts, its intranet and staff newsletter to get the message out to the public, using the hashtags #SmearForSmear, #CervicalCancer and #CCPW. NHS England published 12 tweets during the week, which generated 870 shares, 519 likes and 65 comments, while the regional team’s efforts generated 723 likes and 95 posts. However, the charity’s social and campaigning activity saw #SmearForSmear used nearly 22,000 times on Twitter and Instagram as well as generating more than 600 individual pieces of coverage around Cervical Cancer Prevention Week. Alex Ball, head of strategic comms at NHS England, said: "Prevention and early detection of cancer are an integral part of the NHS England cancer strategy, so the communications work we do to raise awareness of things like cervical cancer screening is critical, and I’m delighted with the results of the campaigns." Kate Sanger, head of comms and public affairs at Jo’s Cervical Cancer Trust, said the charity was pleased that NHS England was a significant voice throughout the week-long campaign. She added: "Through the week #SmearForSmear was used more than 20,000 times on Twitter and Instagram and, combined with more than 600 pieces of media coverage, reached millions. The campaign has been hugely successful in encouraging smear test attendance, with many laboratories and GP surgeries reporting huge increases and countless women saying it reminded them to go or made them feel less anxious or concerned."